Hardware and software sales in Japan declined in the last year, according to Famitsu publisher Enterbrain's numbers. Despite the continuing popularity of Nintendo's systems and the PSP, the Japanese gaming public's interest in blowing dough on their hobby seems to be on the decline, according to numbers released by Japanese gaming magazine publisher Enterbrain. Sales dropped from $6.79 billion to $5.54 billion, according to Enterbrain. Hardware took the biggest hit, with sales down from $3.18 billion to $2.32. 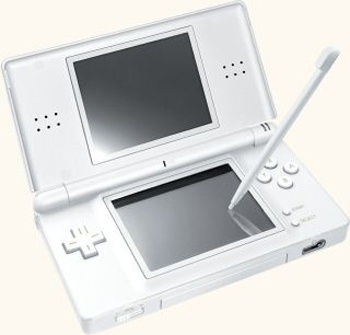 The DS was the strongest seller with 4 million systems sold, followed by the PSP, bolstered by the popularity of Capcom's Monster Hunter games, with 3.23 million. The popularity of handhelds in Japan has been a constant for some time now. Consoles, meanwhile, are flagging. The Wii was the only console to break the million mark with about 2.6 million systems sold, while the PS3 fell just short of one million and the Xbox 360 about 400,000. Software declined from $3.61 billion to $3.22, with Pokemon Platinum, Mario Kart Wii, Rhythm Heaven Gold and Monster Hunter Portable 2nd G topping the chart.